Just a quick news post (yes, some actual news!) 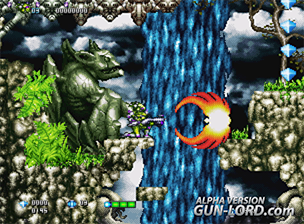 - whilst wasting time on the internet this evening I stumbled across these stunning new images from NG:DEV's forthcoming Dreamcast and NeoGeo release Gun Lord. 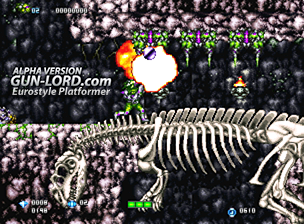 A webpage announcing the game was first put online a few months ago, with a logo image that hinted that NG:DEV's next release wouldn't be (yet) another frantic arcade shmup - and with these teasing screen shots we now have confirmation. 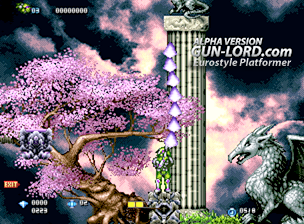 There's no release date given as yet, but with Gun Lord dubbed as a 'eurostyle platformer', I think we can now safely assume from the screenshots that NG:DEV will be bringing some much needed exploratory Turrican-esque run 'n' gun action to the Dreamcast and NeoGeo. 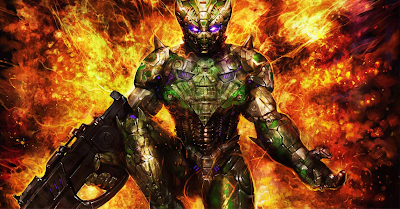 The boss battles look as though they are going to be particularly epic, and the fact that some of the images are titled as 'alpha version' suggests that progress is going well. 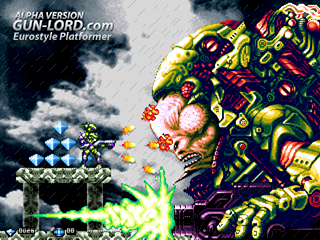 Check the pictures and listen to some in-game music on the official Gun Lord site. More news on this one (hopefully) soon. This looks great! 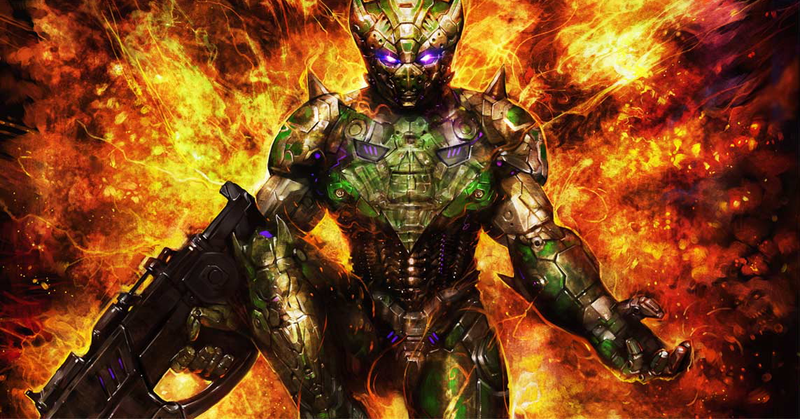 I'll definitely keep my eyes peeled for the eventual Dreamcast release! I enjoyed Last Resort.